A proposal for a new track or concentration within an existing degree program is initiated by the submission of the New Track or Concentration form. The steps for approval are described in the flow chart below. If you have any questions regarding the review process, please contact Catherine Smith (catherine.smith@uc.edu). 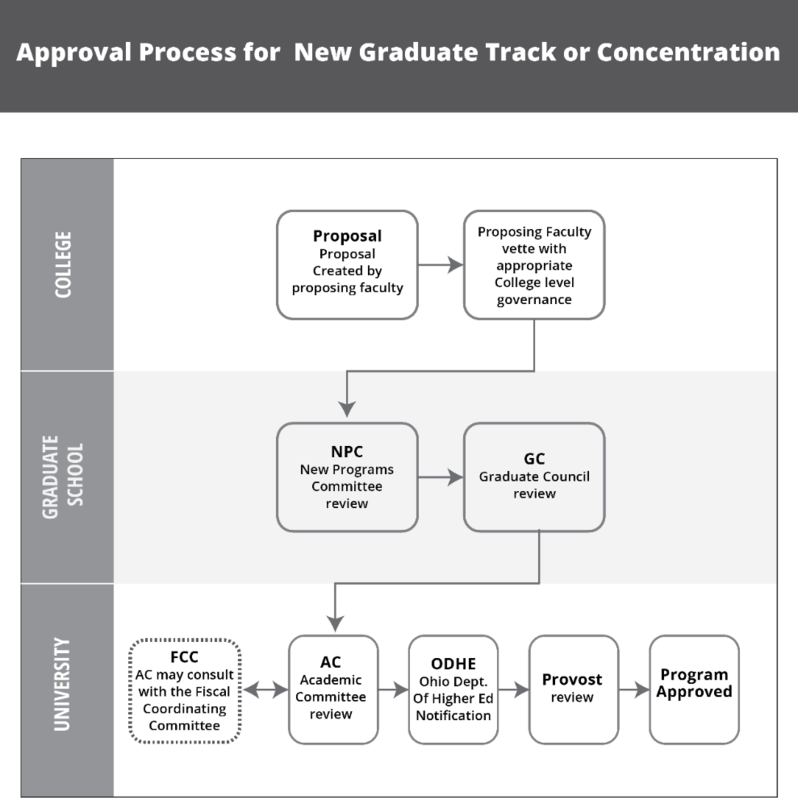 View the flowchart for the Approval Process for New Graduate Track or Concentration as a PDF.